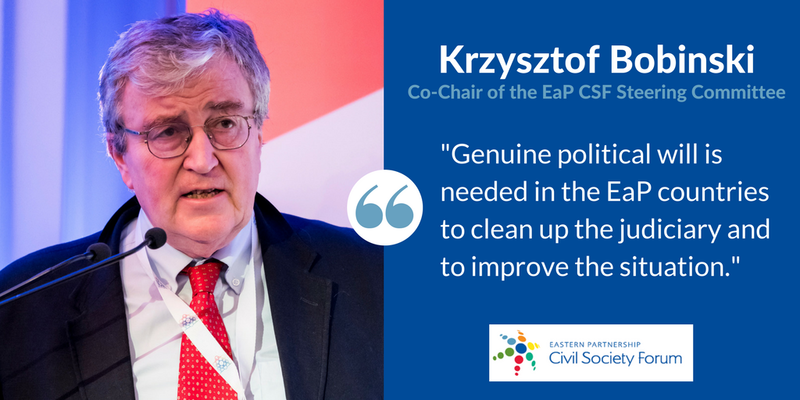 Krzysztof Bobinski, Co-chair of the Steering Committee of the Eastern Partnership Civil Society Forum, attended the 18th Eastern Partnership Platform 1 “Strengthening Institutions and Good Governance” meeting on April 20, 2018. The meeting aimed to adopt the Platform 1 Work Programme for the year 2018-2019 and have a discussion on the progress and challenges in the implementation of reforms related to anti-corruption and justice. 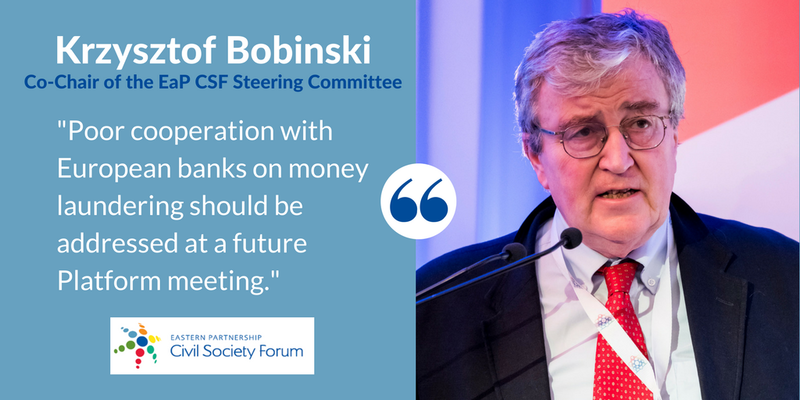 In his speech, Mr Bobinski called on Eastern Partnership authorities to truly show willingness to implement judicial reforms and fight against corruption. 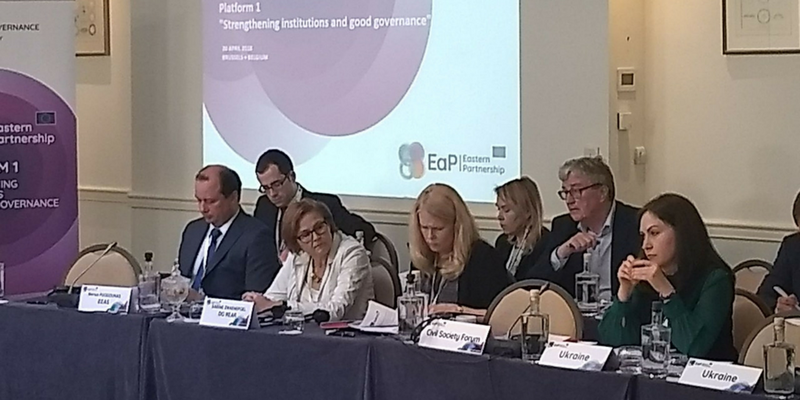 He also encouraged participants of the Platform to discuss further EU banking cooperation with the EaP on money laundering in future platform’s meetings. 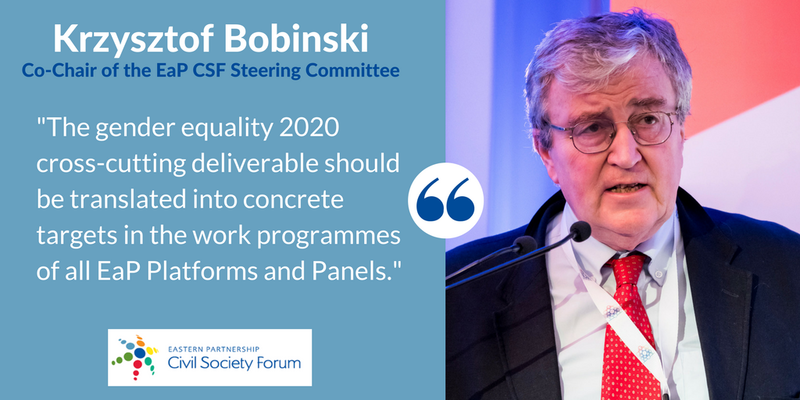 Moreover, EaP CSF Co-chair advocated for concrete targets on the 2020 cross-cutting deliverable on Gender Equality in the work programmes of every Platform and Panel. 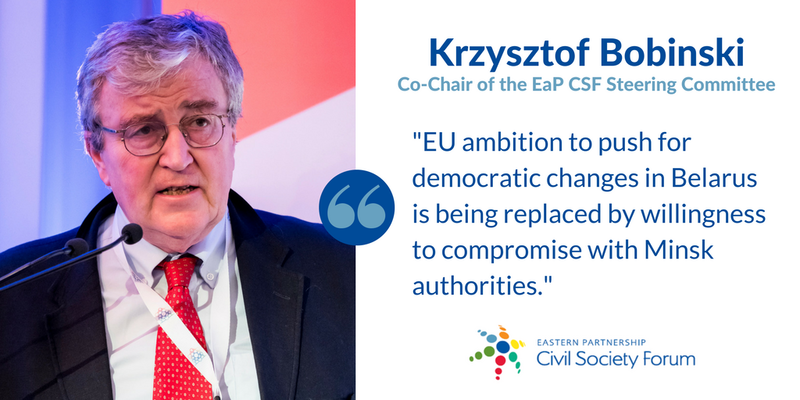 He also shared the concerns raised in the Eastern Partnership Index 2015-2016 presentation in Minsk on the EU’s democracy promotion strategy in Belarus, in light of limited progress. 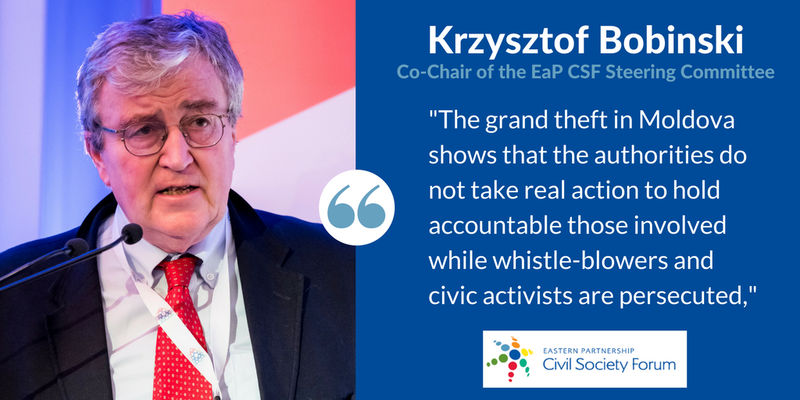 As well, he delivered the message of the civil society in Moldova on the lack of action of Moldovan authorities on the theft of 1 billion dollars from the country’s banking system.